UPDATE: WWE has announced that Tommaso Ciampa is scheduled to undergo an anterior cervical fusion tomorrow. It appears that NXT Champion Tommaso Ciampa is going to be out of action for a significant amount of time. On Wrestling Observer Radio overnight, Dave Meltzer reported that WWE has confirmed Ciampa will be undergoing neck surgery. Meltzer said Ciampa will have the surgery in the next couple of days and won't be able to wrestle "for a long, long time" -- but exactly how long isn't known. Meltzer said Ciampa was originally going to be out of action after working through WrestleMania, but Meltzer speculated that the situation must have gotten so bad that it was decided they have to do the surgery now. NXT's final TV tapings before TakeOver: New York are taking place next Wednesday (March 13) and may provide an update on what WWE will do with the NXT Championship. 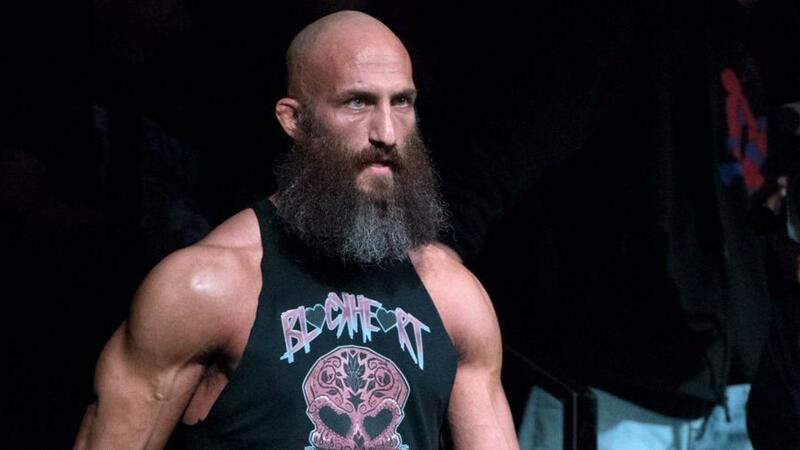 Ciampa has been pulled from appearances for World League Wrestling in Moscow Mills, Missouri on March 9 and Chaotic Wrestling in Haverhill, Massachusetts on March 15. Adam Cole is replacing Ciampa at World League Wrestling, while Hanson is replacing him at Chaotic Wrestling. Ciampa joined the main roster last month and teamed with Johnny Gargano on Raw on February 18 and SmackDown on February 19. Ciampa then wrestled at NXT's TV tapings the next night and hasn't had a match since then.